Since leaving college, Paul has worked in a variety of roles, including: painter and decorator, general handyman, and freelance writer. 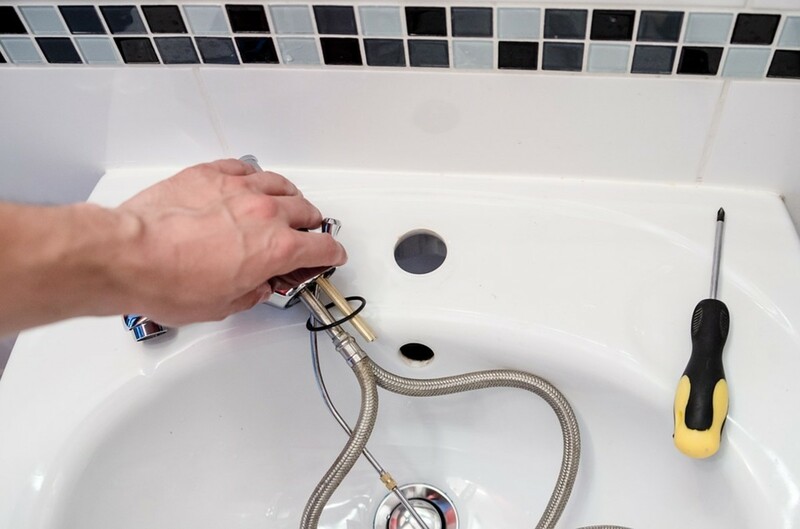 Plumbing issues come in all sorts of shapes and sizes, from the relatively minor and inexpensive, such as a dripping faucet or running toilet, all the way to a sewer system backup or a major pipe leak capable of causing severe damage to walls, floors, and personal property. 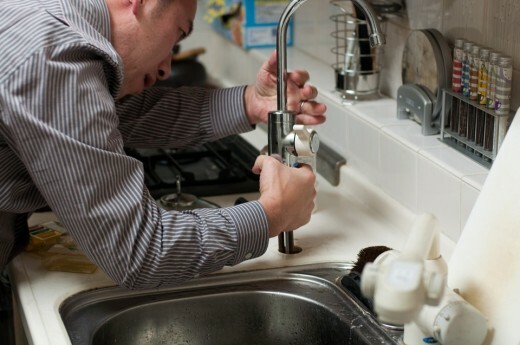 This article lists the most common issues that can result in the need for plumbing work. You can prevent or minimize problems from occurring if you know the types of things that most often go wrong. Below are the common problems, causes, and how they can be fixed. 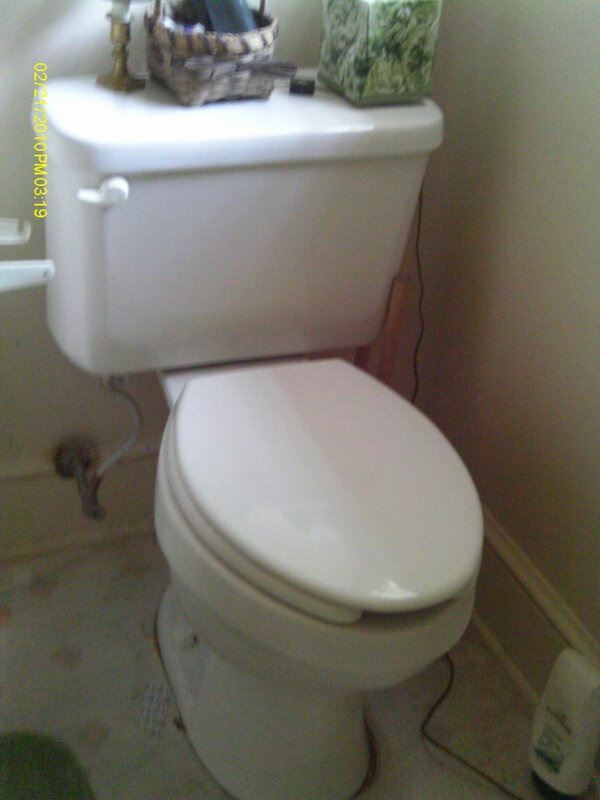 Some issues will require the help of a professional plumber. Clogged bath or shower drain. Dripping faucets are so common that it's rare to find someone who hasn't experienced this issue. It's not just a source of irritation; the waste of water can push up your water bill and cost you money. A single faucet can drip away hundreds of gallons over the course of a year. The cause of dripping faucets in most cases is an internal washer that has become stiff, torn, worn, or dislodged over time. Fixing the problem is often achievable by the average householder, but it requires the correct tools. This problem is normally caused by a blockage that is restricting water flow. 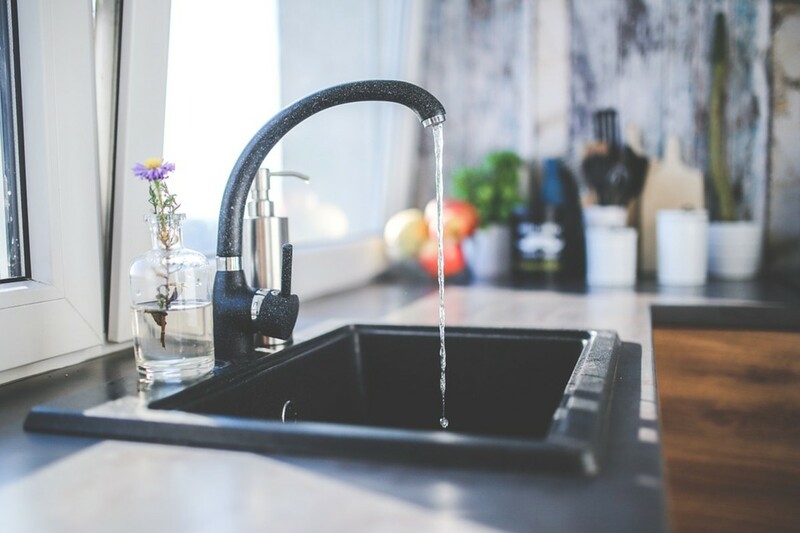 Your kitchen sink drain may contain things like congealed fat and food remnants. In a bathroom sink, the blockage is more likely to be caused by knotted hair and soap. 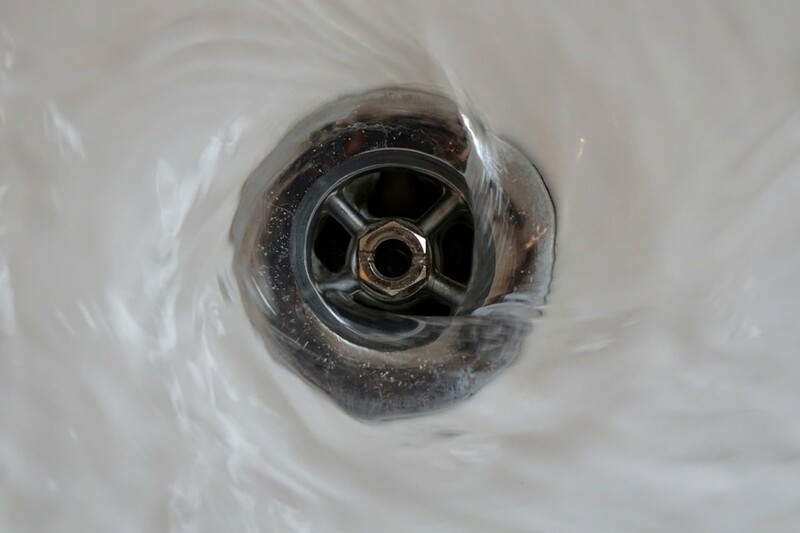 Methods for clearing a clogged sink might involve using a plunger, pouring down baking soda and vinegar or a chemical clog remover, or using a plumber's snake. If the problem isn't tackled, then it will likely worsen over time, until eventually the drain is completely blocked. Be sure to follow all the directions on the packaging and make sure not to use too much. Wear gloves and goggles for safety. Don't mix chemicals. This can produce poisonous gas. Pour chemicals down the drain. Note: Chemicals can cause damage to your drainage pipes if used repeatedly, so I would recommend not resorting to this method lightly. As with slow draining bathroom sinks, bath and shower drains generally get blocked up by clogs of hair and soap. Clearing the blockage may require the use of a plunger or a snake. Baking soda and vinegar can sometimes dissolve the clog too. The problem generally gets worse over time, if not dealt with. The problem can be prevented or minimized by buying a drain guard to catch the hair. Adding petroleum jelly to the edge of the suction pad will improve the seal. Make sure there is enough water in the shower so that the end of the plunger is submerged. When the toilet bowl fills up and doesn't drain away, you've got a clog. The blockage is normally caused by a mixture of paper and human waste. 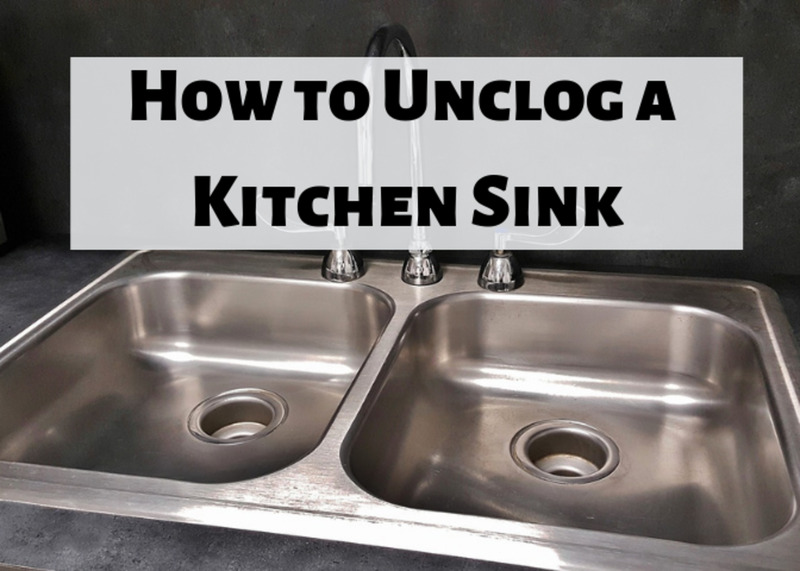 Clogged toilets can normally be fixed with a plunger. If that doesn't work then a sewer snake or drain auger can be used to loosen up the blockage. A running toilet can be costly; up to 200 gallons of water may be lost each day. 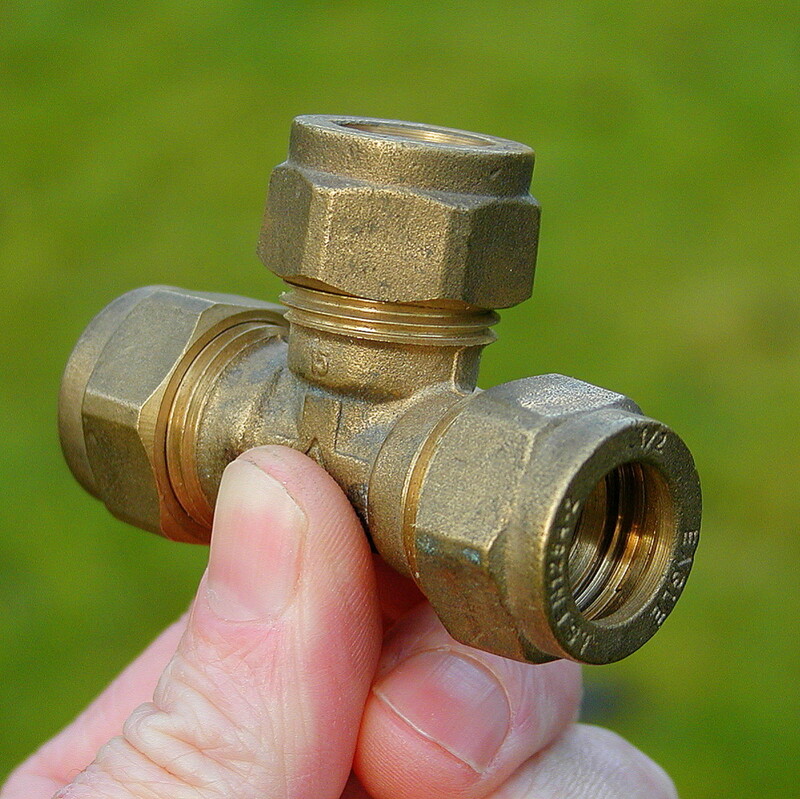 The most common culprit is a faulty flapper valve which controls the water that passes from the tank to the bowl. This is fairly straightforward fix with a toilet repair kit available at any hardware store. 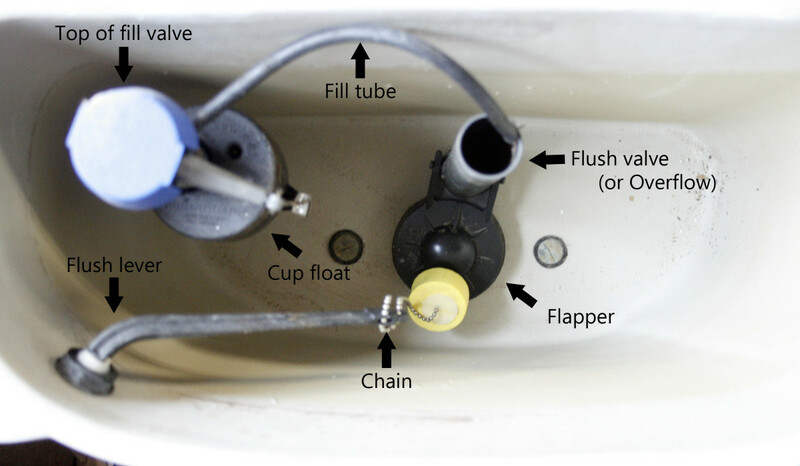 Less commonly, toilet runs may also be caused by sediment affecting the flushing and filling. If your water bills seem high, check for silent leaks. Put some food coloring in the upper tank and see if it makes its way to the bowl without flushing. This problem may not be discovered until you are in the shower and the water suddenly goes cold. There are multiple issues that can cause a water heater to fail. The pilot light may go out, and you have to relight it. A build-up of sediment in the tank can also cause problems. Another time, it may be the thermostat that is at fault. Generally speaking, you will want a professional to inspect, maintain, and fix your water heater, unless it's something basic like the pilot light needing to be relit. 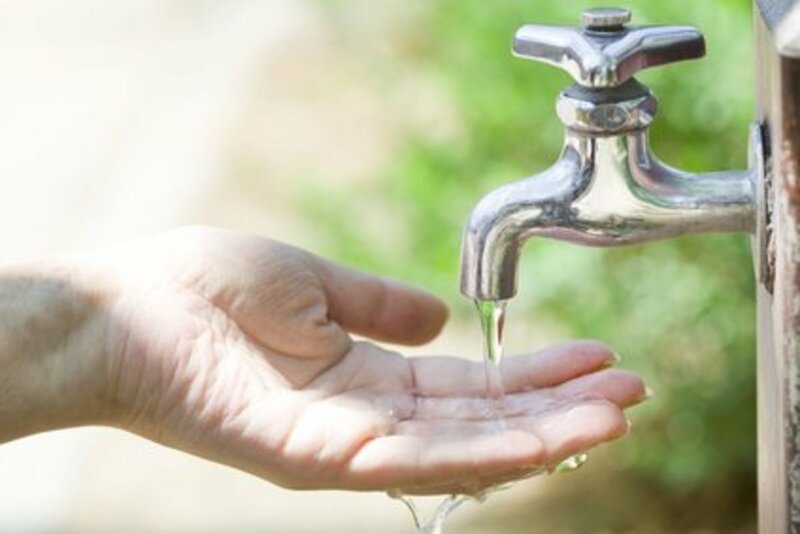 If your water trickles out of the tap rather than gushes, this may be a symptom of low water pressure. This is often a problem in older homes. Low water pressure can be caused by leaking pipes that have become broken, worn, or corroded over time. More often than not, it's caused by a build-up of sediment and mineral deposits on aerators. You can soak the aerator in vinegar to clean it. If it's the shower that's the problem, then you need to either soak the showerhead in vinegar or simply replace it. Dismantle and the clean off any dirt or soap. Use a toothbrush soaked in vinegar to scrub and loosen any mineral deposits. Use a safety pin or toothpick to poke off any loose deposits. Soak the parts in vinegar overnight to dissolve any leftover deposits. Garbage disposals are very useful appliances, but they do jam sometimes. Running them without water, disposing certain food substances such as cornhusks and potato peels, or allowing silverware to get inside can all cause problems. with the garbage disposal, then a 1/4 inch Allen wrench can be used to free the motor. 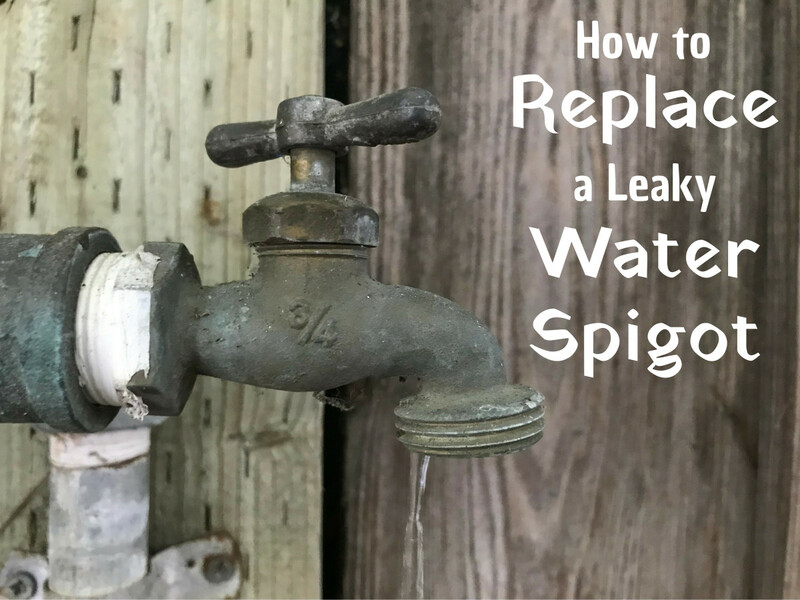 Leaky pipes can be more than just a nuisance, they can cause damage to furniture and floors, and the dampness can encourage bugs like cockroaches. Leaks almost always happen at the pipe joints. Tape, compounds, and fillers can often provide a temporary fix, but for something more permanent replace a piece of pipe or the related fittings. Leaks are more common in the winter when water can freeze, expand, and cause pipes to burst. When the weather is very cold, allow the cold water to drip from the faucet served by exposed pipes. Running water, even just a trickle, helps to prevent the pipes from freezing. Keep the thermostat set at the same temperature both day and night. Sewer system backups are, frankly, a nightmare. They are smelly, nasty, inconvenient, and can be expensive to fix. 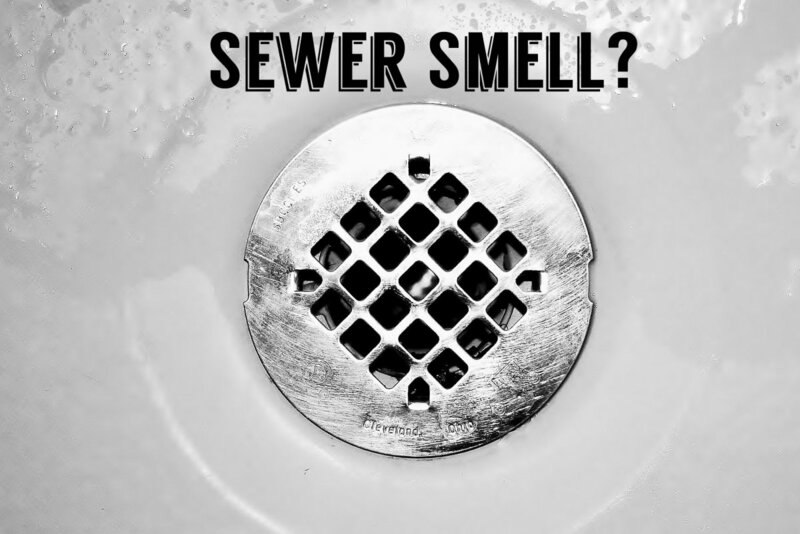 If you have multiple drains and toilets not working and a bad odor of human waste, this is likely your problem. Responsibility for fixing the issue really depends on the location of the blockage. If it is on your property, then it's your problem. If it's out on the public road, then your water company should fix it. Unfortunately, you may have to pay for a plumber just to locate the blockage, though it's often worth calling your water company first, as they won't charge you if it's their fault. There are three common causes. First, the main sewer is clogged. To minimize this happening, watch what you flush down your toilet (no diapers, facial tissues, napkins) and avoid tipping grease down your drain. Second, tree roots have invaded the pipes. Roots can push through cracks in pipes or surround a pipe and crush it. Third, old sewer lines may break or collapse. Modern sewer lines are made from plastic, but they used to be built from cast iron, or clay, which are prone to decay over time. Always turn off the water main before attempting a plumbing repair. Plumbing is a messy business. Always assume that you will get wet and dirty; dress appropriately. Preparation and tools are important. Ensure measurements are correct and that you have everything you need before you start your repairs. Keep a professional plumber's phone number handy in case things go wrong and you need help quickly. My sewer system is backed up, what do I do? Responsibility for fixing the problem usually depends on where the blockage is. If it is on your property, then it's your problem. If it's out on the public road, then your water company should fix it. Unfortunately, you may have to pay for a plumber just to locate the blockage, though it's often worth calling your water company first, as they shouldn't charge you if it is their fault. Pipes can get blocked up for some reasons. They may be blocked by a build-up of debris and waste. Tree roots can sometimes work their way through cracks in old pipes. Old pipes may also fail due to general aging, metal pipes rusting, for example. My bathroom faucet is dripping. Could I fix the problem myself, or should I call a plumber? Fixing a dripping faucet is not usually a difficult job, provided you have the correct tools. The problem typically involves replacing an internal washer, which has become worn or dislodged over time. There are plenty of informative how-to videos online that will take you through what you need to do.